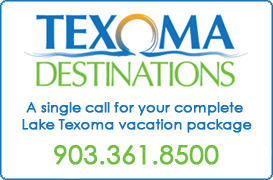 Hiking near Lake Texoma is a wonderful activity for the family. The Cross Timbers Texoma Hiking Trail spans nearly fifteen miles of trail along the shoreline. The trail begins at the Juniper Point recreation area. 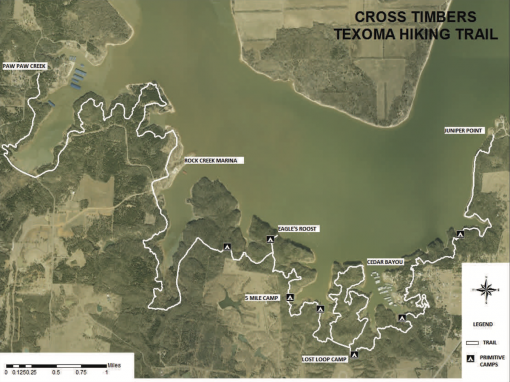 The Cross Timbers Texoma Hiking Trail offers a moderate degree hiking experience. There are various elevations on the walking/hiking path with each mile marked visibly. Along the hiking trail, there are some developed areas for hikers. These areas allow rest and access to water. Bottles of water should be taken while hiking the full trail. The Cross Timbers hiking area is built by the Corps of Engineers in the 1960s. Over time, camping areas along the hiking trail have been established for those who wish to camp.